This video shows the day-long process of making medicinal oil out of leaves collected from a nearby forest. The women buy the supplies to make the oil from Anisha and sell the oil back to Anisha for a profit. 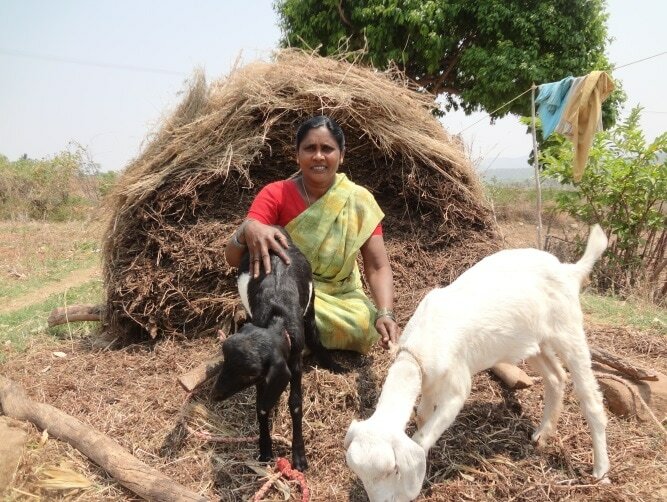 Anisha has trained women in the various Sanghams (selfhelp-groups) to turn organic crops, ieg. millet from the trial plots of the RC, into sweets and snacks for weddings and traditional feasts. Paprika is processed into paste, oil against skin irritations is distilled. Raw materials are bought with a loan from the Revolving Fund. That fund also finances the purchase of a goat or two which will be fed on communal land and the offspring sold in good time. Same for chicken. 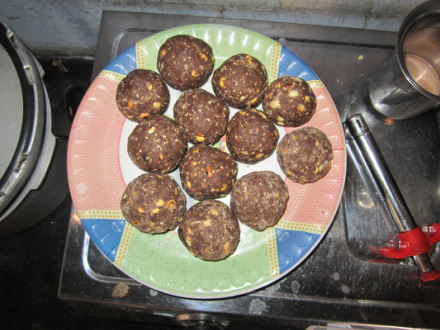 Sweets from organic peanuts made by a member of one of Anisha's women's groups as an income generating project. 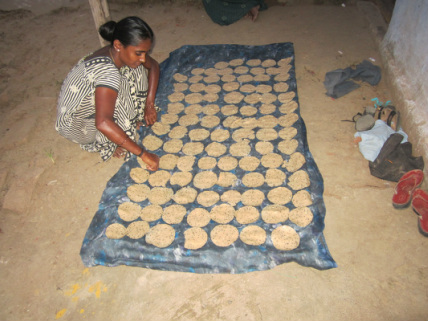 Madevi, a member of one of Anisha's women's groups, makes snacks from organic millet. Anisha trains women to make these, which the women then sell for a profit.